The Clearsprings School District (also known as the Clear Springs School District) was established formally in March 1880 and a temporary building, used as a school during the week and a Presbyterian church on Sundays, was built at 12-7-6E in the Rural Municipality of Hanover. A separate school was constructed in 1882, at 14-7-6E, on land donated by local farmer William Mooney. In 1919, it was replaced by a new, wood frame structure, situated on a two-acre lot at SW14-7-6E purchased (for $120) from Cornelius P. Reimer in July of that same year. It operated continuously until 1966 when it closed and students went to school transported to nearby Steinbach. The district was dissolved in 1968 and its area became part of the Hanover School Division. In 2013, a commemorative sign was erected at the original site by the EastMenn Historical Society. Among the teachers who worked at Clearsprings School were John P. Wadge (c1896), ? (?-1915), Cornelius F. Barkman (1915), William L. Kruschel (1915-1916), Ivy Duncan (1916), Jennie Ritchie (1917), May Chalmers (1917-1918), B. M. Williamson, Lily Smith, Vera Bergman, Henry Kreutzer, Dorothy Summerton, Lena G. Penner, Elizabeth Giesbrecht, L. W. Guenther, Elizabeth Rempel, Ruth Hiebert, Selina Holland, Christy Keating, M. A. Unger, Abe A. Toews (1928-1941), Margaretha Reimer, Catherine Enns, A. Bergman, Johanna Holtman, P. B. Brown, Helena M. Snead (1964), Helen Kornelson (1964), Rudy Fast (1964-1965), and Irene G. Wallace (1965-1966). Schools - Our Heritage: From 46 School Districts to Hanover Unitary School Division (1878-1968) by John K. Schellenberg, The Board of The Hanover School Division No. 15, May 1985, ISBN 0-919673-93-7. 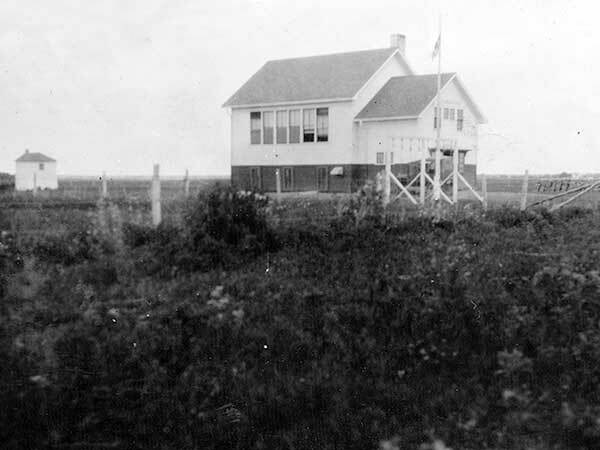 Manitoba School Records Collection, Clearsprings School District No. 85 - Cash Book, GR2656, Archives of Manitoba. Manitoba School Records Collection, Clearsprings School District No. 85 - Miscellaneous Records, GR2656, Archives of Manitoba. We thank Glen Klassen and Ernest Braun (EastMenn Historical Society), and Nathan Kramer for providing information used here.